Helping you find your perfect combination of fitness and nutrition to acheive your ideal perfectly portioned body. Ready to get Started and Take Control of your Health? When it comes to your healthy lifestyle the power is in your hands. 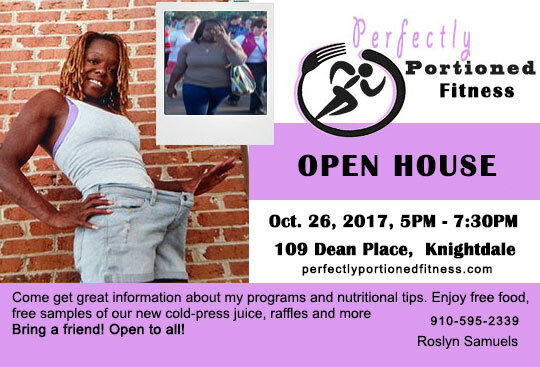 Why hold off any longer - let's meet and talk about how Perfectly Portioned can make a difference for you. We look forward to hearing from you! Looking for a Monthly Challenge? Even though it’s important to workout, your diet also plays an important part in losing weight and being healthy. Our monthy challenges focus on both the workout and eating well. The Nutrition & Fitness-Challenge of Accountability group is a supportive and fun environment to help you reach your goals! © Perfectly Portioned. All Rights Reserved.